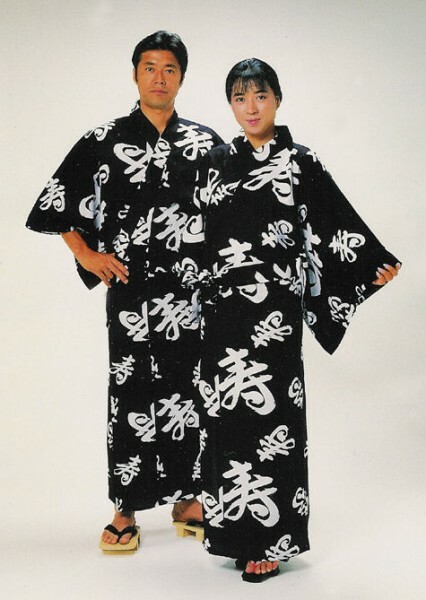 The Japanese are famous for their stunning textiles, especially the national “costume” called Kimono. 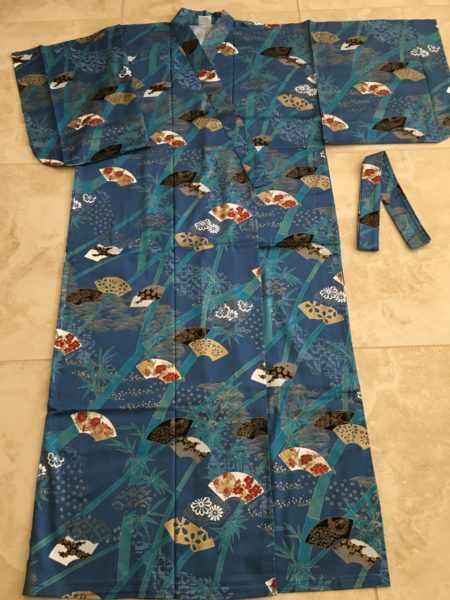 Kimonos are available in silk for special or formal occasions, but in the summertime the Japanese like to relax in comfortable, cotton kimonos called Yukata. 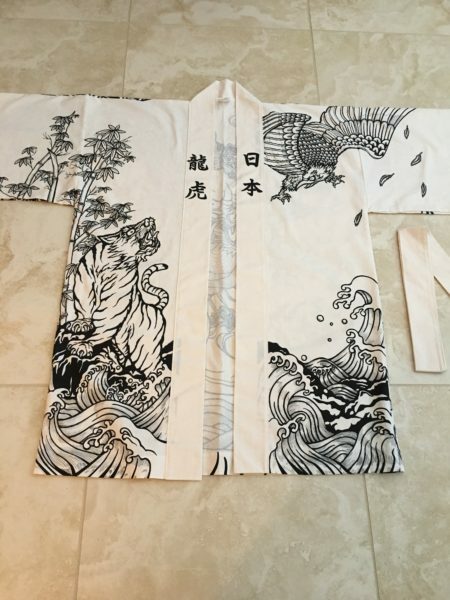 Cotton kimonos were traditionally what was worn after taking a long, hot bath, but they are also worn during the summer, to feel cool on a hot day. 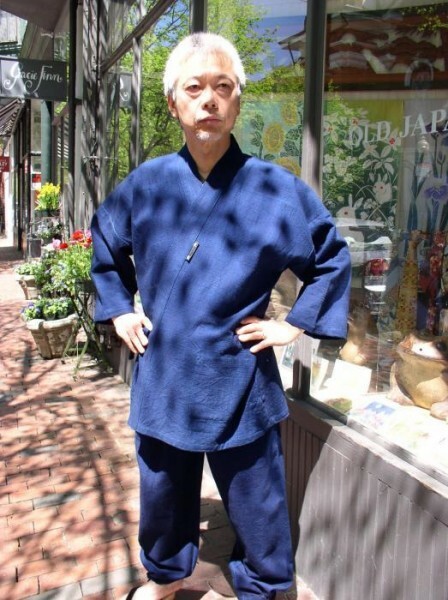 Both young and old Japanese people enjoy dressing up in them to take in the local “Matsuri”, one of the many festivals that celebrates special days or events during the summer months. 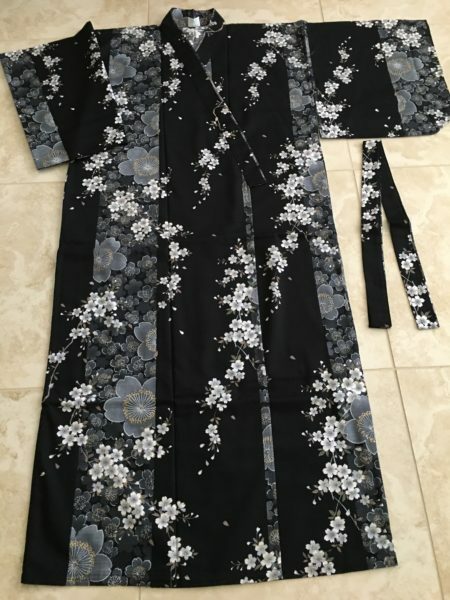 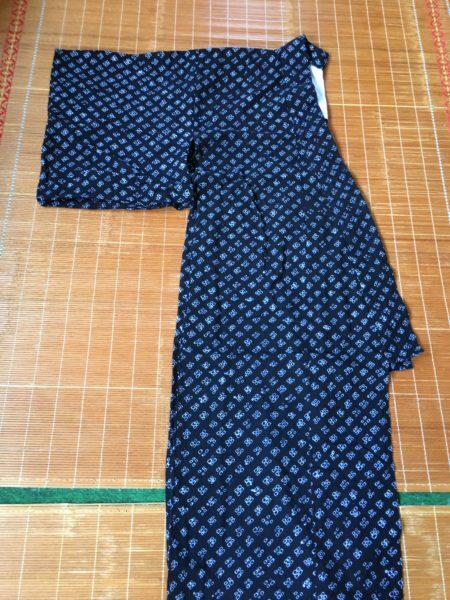 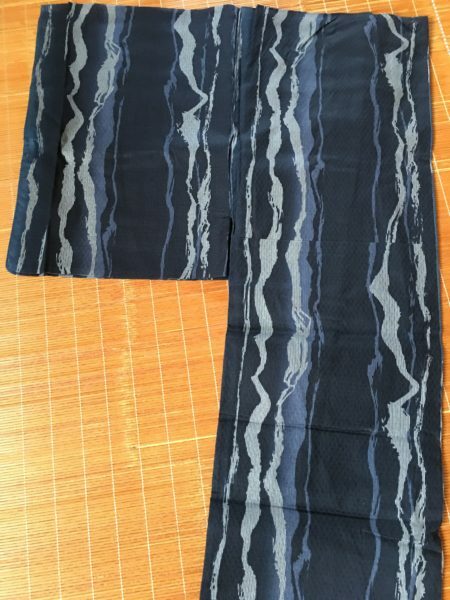 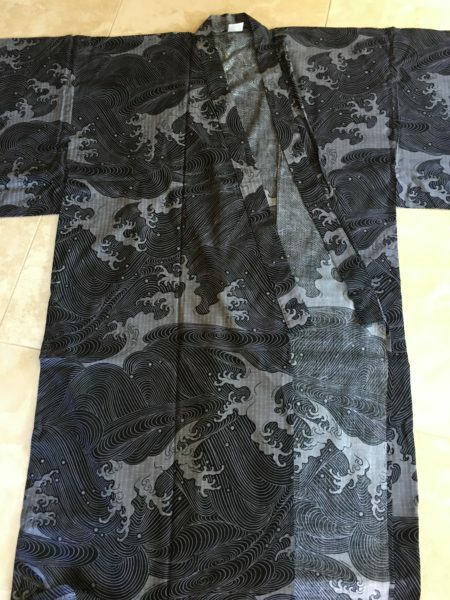 We carry vintage Cotton Kimono (Yukata), most of which are smaller sizes, and also brand new Cotton and Flannel Kimono that come in Medium, Large, and Extra Large sizes. 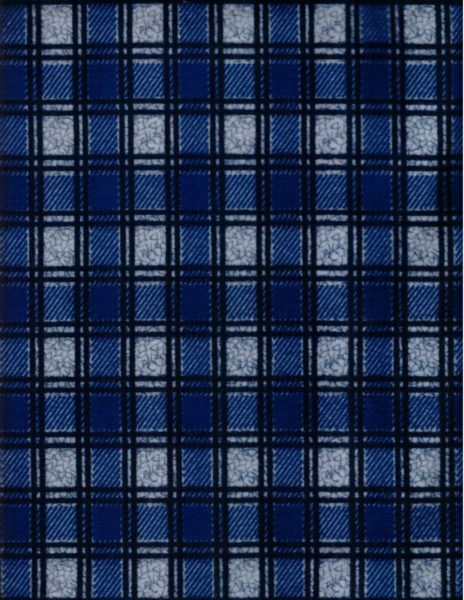 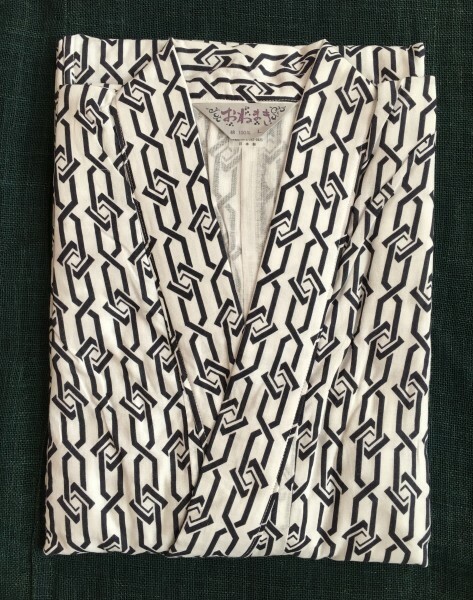 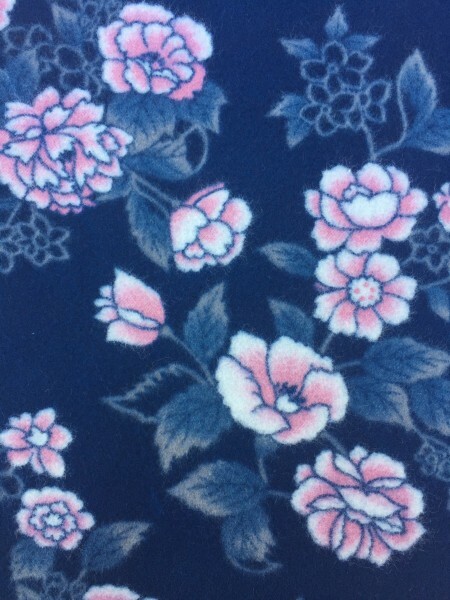 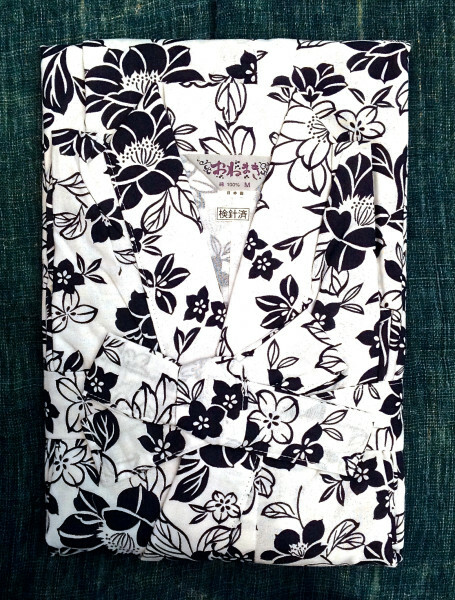 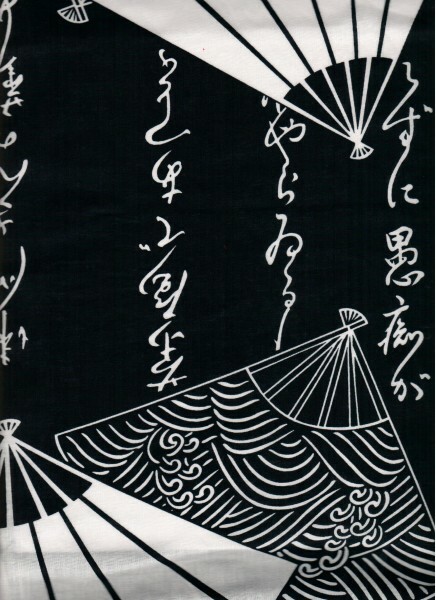 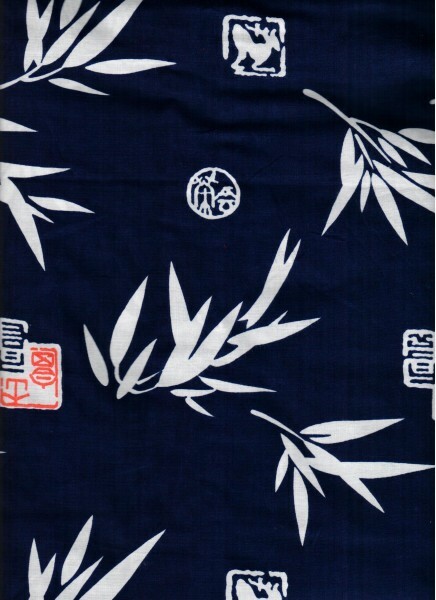 We also carry special Nemaki Cotton Kimonos that have a gauze lining. 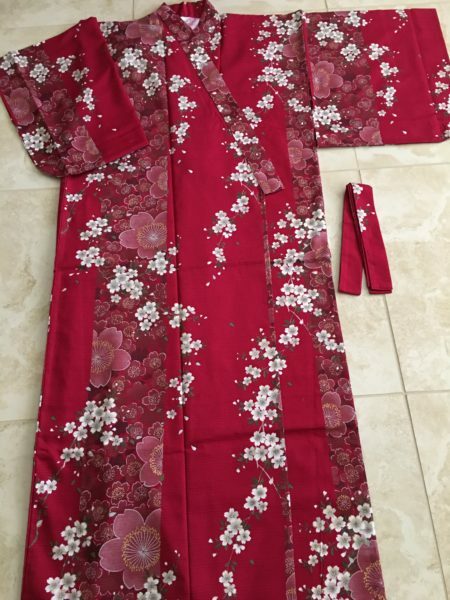 These Kimonos become softer and softer with wear, and are so comfortable that the Japanese sleep in them. 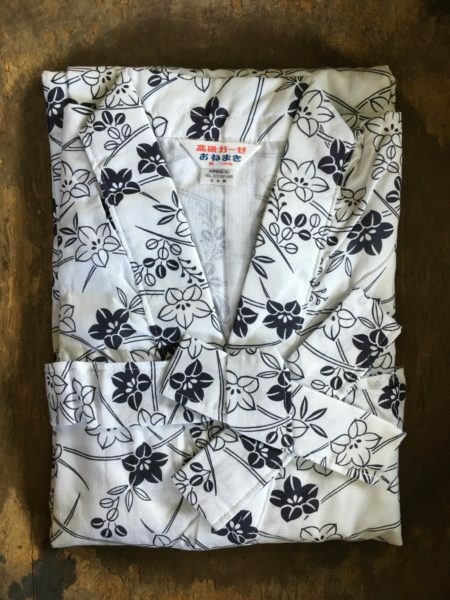 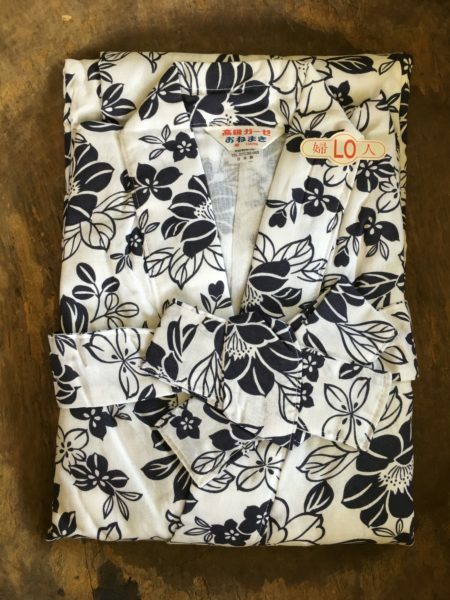 We have a nice assortment of these brand new Nemaki Cotton kimonos in a variety of blue floral patterns on a white background. 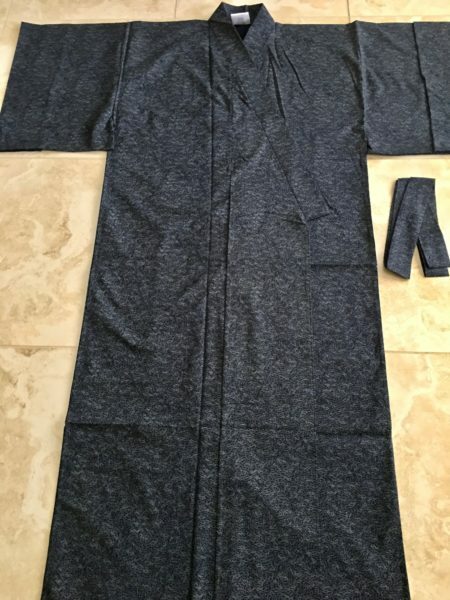 If you have any questions about size or anything else, please call us or email us. 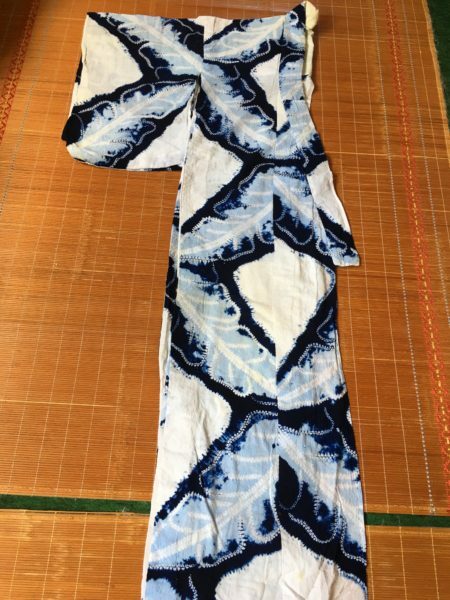 The patterns for our Nemaki Kimono change every few months, so are subject to availability.